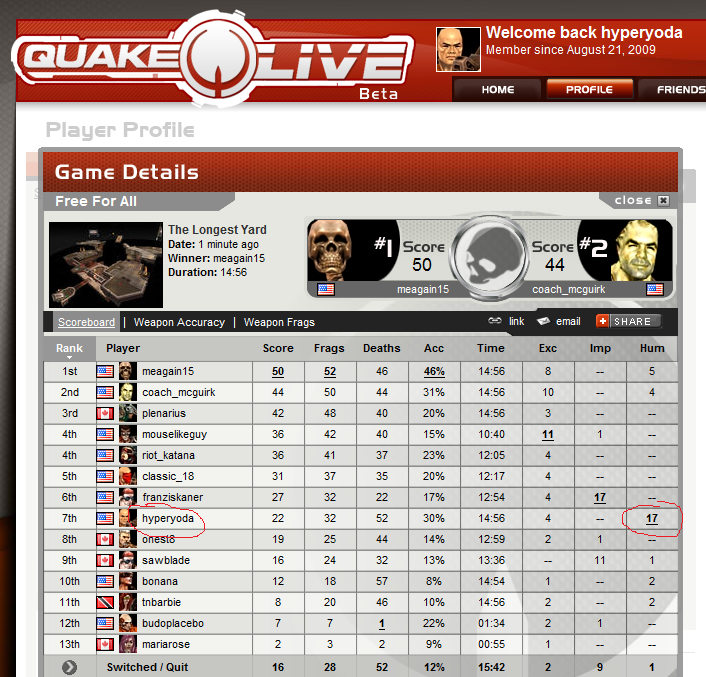 I have achieved a new personal best using the gauntlet in Quake Live! 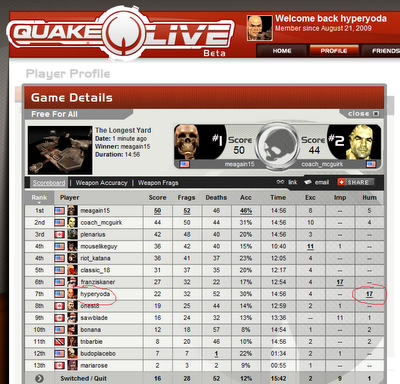 17 of my 32 frags (kills I inflicted) were with gauntlet - 53%! If you look under the "Hum" column (Humiliations - when you kill someone with the gauntlet) you will see it. I am player hyperyoda. WOO HOO! I also got 4 Excellent ("Exc") medals :) That is when you get two frags in less than 30 seconds.